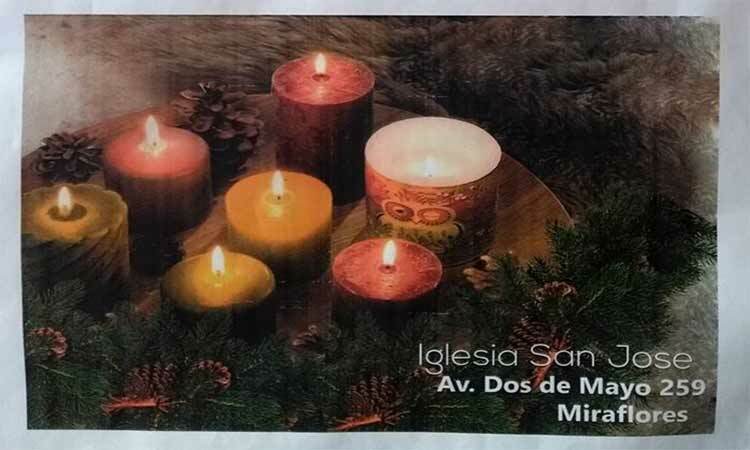 As each year the German-speaking Catholic San José Church in Lima organizes a Christmas Market on the first Sunday of Advent to ring in the festive season. The day starts with a family service at 11.00 am. After that at midday the San José community invites to the traditional Christkindlmarkt (Christmas Market). There will be Advent wreaths, calendars, typical German Christmas cookies, handicrafts and much more on sale. Additionally, no-one has to go hungry: visitors can enjoy a few simple German snacks. And for the children games are organized. And don’t forget to buy some tickets for the tombola. Bring the whole family and enjoy.